Our Individualized Nutritional Analysis is the foundation upon which we base our health recommendations. It helps us to analyze the body’s ailments and to uncover the underlying conditions that are the root causes of these conditions. With this data, Dr. Court can create an individualized approach that zeroes in on and corrects the causes of your condition(s). The Individualized Nutritional Analysis has two key parts: the analysis and the personalized health improvement program (using designed clinical nutrition). 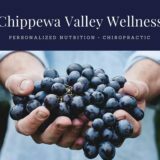 The analysis is performed simply by using your body’s own muscle group in combination with pressure points to determine where the underlying weakness is in the body and then, using the same technique, we design a natural health improvement program to help you handle what we find in the analysis. The analysis is done through testing the body’s neurological reflexes and pressure points. The neurological reflexes are derived from the part of the nervous system whose job is to regulate the functions of each and every organ. The pressure points are similar to those in the ancient Chinese system of acupuncture, which is thousands of years old. Each reflex represents a specific organ, tissue, or function, and indicates the effect that energy, or the lack of energy, is having on the body. By testing these reflexes, we have a system of monitoring your body at each visit that helps us identify your needs and how well we are meeting those needs. Let’s say the liver or kidney reflexes are active, then what? Our next step is to test specific high quality nutritional supplements against those weak areas to find which ones bring the reflexes back to strength. Decades of clinical experience tell us that when we have found the correct nutritional supplements, as indicated by this procedure, and when we work out a highly personalized nutritional supplement schedule, we have accomplished the most important first step of supporting the underlying deficiency or imbalance that caused the reflex to be active in the first place. By following the program as precisely as possible, you are well on your way to restoring normal function and improving your health. Through an analysis of your body’s reflexes, we help you to determine the exact nutrients you need to supplement your diet in order to bring about balanced and improved health. Depending on your individual situation, we may also require that you make some specific changes in your diet & eating habits and in your routines in order to bring about the best possible results.